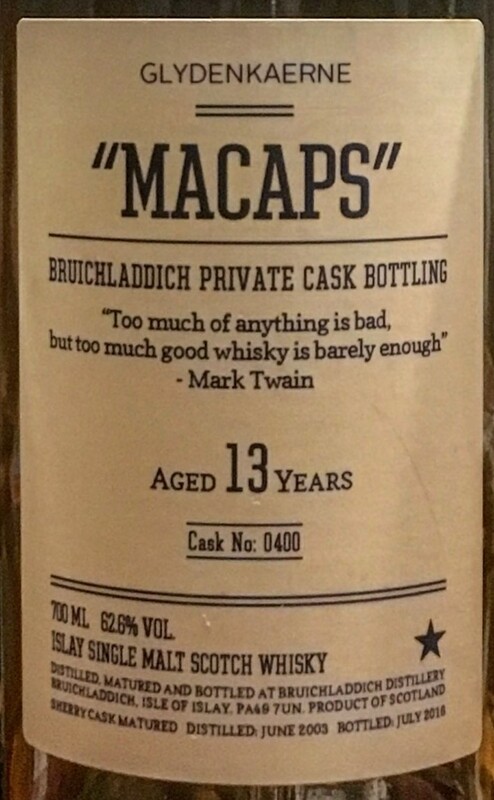 This is a “Private Cask Bottling” bottled for ”MACAPS” and comes from a (as far as I have heard, first fill) Sherry cask (#0400). Dried fruits, red berries and dark chocolate in the smell. And a little tip – don’t get your nose too close! The tannins is quite dominant at first in the taste. Then the dried fruits comes rushing in with oak on the side. As the tannins and the alcohol tones a bit down, it really makes rooms for the fruity flavours in the finish. All the good stuff from Sherry cask maturation. A bit aggressive, so don’t be afraid of using some water, and considering the high ABV, you don’t have to be very careful not to drown this. The thing I like the most about this, is the fruity flavours in the finish, and the dried fruits really comes forward with a bit of water. I will give this 89/100 (22/22/23/22).